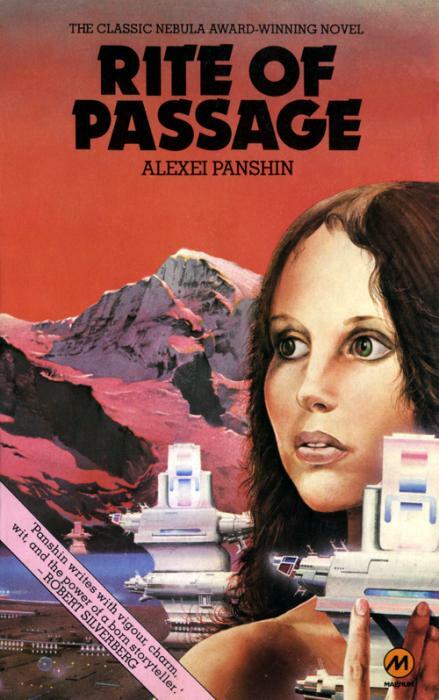 In 1968, Alexei Panshin wrote a coming of age novel called Rite of Passage. The story follows twelve year old Mia Havero, as she readies for her “trial”, during which she’ll spend 30 days alone in the wilderness of a planet. Having spent her life on a ship, she’s got a lot to learn about how to survive dirtside. Rite of Passage won the Nebula, and was nominated for a Hugo. This is most definitely not your standard 60s “kid goes on an adventure”! My close friend Andy lent me his copy of Rite of Passage, and although it took months of him asking me to do so, I finally read it. It was an absolutely fantastic novel, and it was easy for me to see why Rite of Passage made it to so many awards ballots. Even better, the story doesn’t feel dated. Written almost 50 years ago, it read like a novel that could have been written 10 years ago. Andy and I decided the best way to talk about it was to literally talk about it over Google Docs, and share our chat. 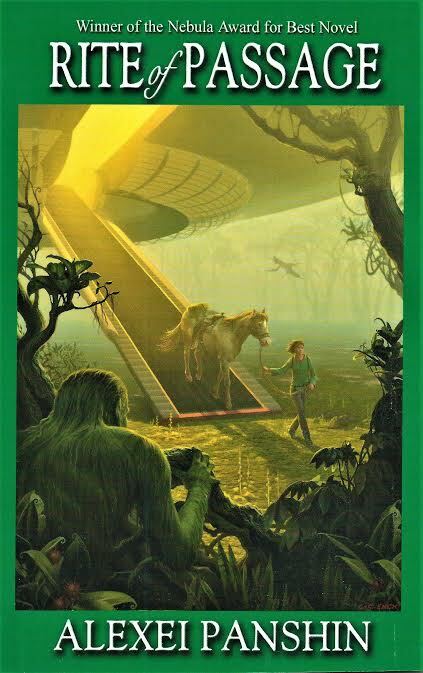 Our conversation below does spoil some huge stuff that happens at the end of the story, there is plenty more we haven’t mentioned that awaits new readers. Andrea: What did you think of Mia? She’s not the typical scifi protagonist [for a 1960’s scifi novel], that’s for sure! Andy: I think Panshin had to tell this story through the eyes and experiences of someone Mia’s age (she is 12 when the story begins). Adults have hardened into acceptance (or, more rarely, rejection) of their society’s system of beliefs. Mia is still discovering these and so is receptive to alternatives. Andrea: Not all the kids come back from their month on a planet. I assumed that a percentage of kids “go native”, and decide that life on a planet is preferable to life on the ship. What did you think happened to the kids that didn’t come back? Andy: I’d like to think that many, if not most, did “go native.” However, given the mutual hostility and distrust between the starships and the planet-bound made plain in the novel, I think the majority were either killed by the planet-siders (if pursuing the aggressive “tiger” survival strategy) or died of exposure and starvation (for those using the “turtle” approach, keeping their heads down in remote places). Both the planetary societies and the one on Mia’s ship are quite harsh, in their own ways. Except for Mia and her friend Jimmy, and the people who befriend Mia on Grainau, there’s not a lot of mercy in evidence on either side.